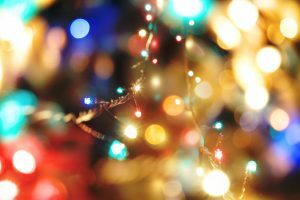 Holiday Lighting Safety - Columbia Builders, Inc.
Holiday lighting is just one element in making your home look just right this winter season, but there are some associated safety concerns that you must be aware of. Decorating your home for the winter holidays is a favorite tradition that many of us enjoy, and festive lighting often plays a big part. Interior and exterior holiday lighting offers an element of wonder and beauty not seen during the rest of the year, so it’s not surprising that such a wide variety of styles and colors are available. Before you run out to your favorite warehouse store or bring your boxes of lights out of storage, it is important to keep in mind that festive lighting comes with its own safety concerns. Here are a few lighting tips to follow before you get started to ensure a bright and safe season! The first step in decorating with any set of lights is to carefully check for broken sockets, frayed wires, or loose connections. If you discover any damage, be sure to discard those light strands and invest in new ones. You’ll want to complete your inspection before you hang the lights, so plug in each strand to determine it is working properly. Take a moment to look for anything unusual, such as a bulb that is burning extra bright (and hot). Use only lights that have the Underwriter’s Laboratories (UL) label, and if your light strands are more than a few seasons old, consider investing in new LED lights. They are cool to the touch (therefore, safer) and last much longer. When it comes to holiday lighting, a common mistake is to overload outlets. Plugging too many strands together or placing an electrical load on extension cords – both of which are fire hazards – is an inclination that we all must avoid. Before you plug in any lights, you’ll want to uncoil the strands and cables completely to cut down on overheating. When installing your decorations, avoid placing extension cords under rugs, in doorways, or through windows, as this could lead to damage and fire. Also make sure your cords are away from water and properly grounded. Lastly, never leave indoor or outdoor holiday lighting burning around the clock – be sure to unplug everything before you leave your home or go to bed. If you opt for a live or artificial tree inside your home, there are specific safety rules to follow. First and foremost, an indoor live tree must be watered daily. If your live tree becomes dry or brittle, remove it from your home. Never light a dry tree indoors – it is a fire hazard, providing a fuel source for fire. If you opt for an artificial tree indoors, check that it is labeled “flame resistant”, and limit the amount of time each day that either type of tree is lit. When installing lights, it is a good practice to keep bulbs from resting on needles and branches – use clips or twist ties to keep the lights upright, and enjoy! This entry was posted on Friday, November 30th, 2018 at 2:38 pm. Both comments and pings are currently closed.